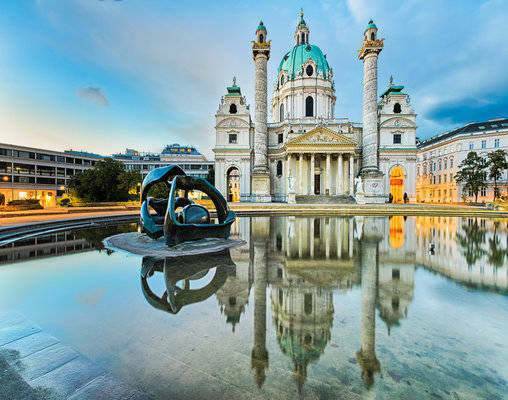 This Best of Austria and Switzerland tour with Oberammergau covers the highlights of three of Europe's most scenic countries: Austria, Switzerland, and Germany. 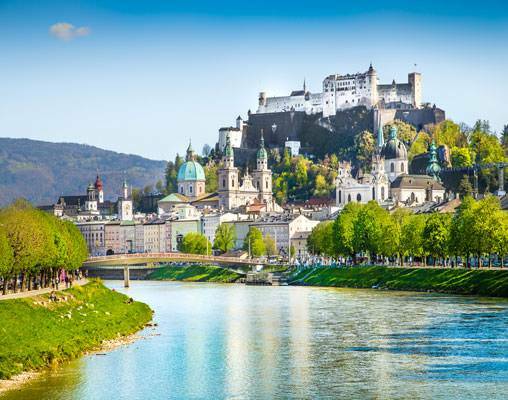 Spend two nights each in Vienna, Salzburg, Zermatt, and Lucerne, and an overnight in St. Moritz, Berne Innsbruck, Oberammergau, and Munich. 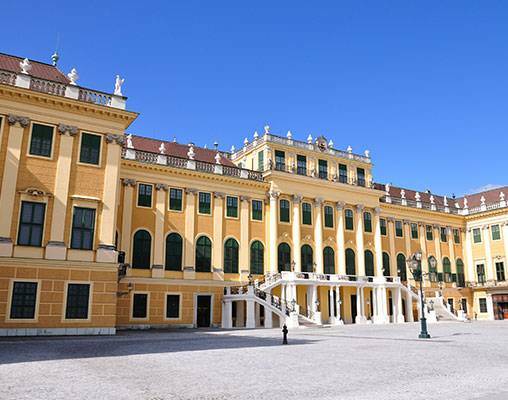 If you're a fan of palaces and castles, you'll enjoy a visit to Vienna's Schönbrunn Palace, once the home of Habsburg family. Stand in awe as you hear the stories of this royal family's home. You'll also enjoy a visit to romantic Chillon Castle, a well-preserved, medieval castle on the shores of Lake Geneva. 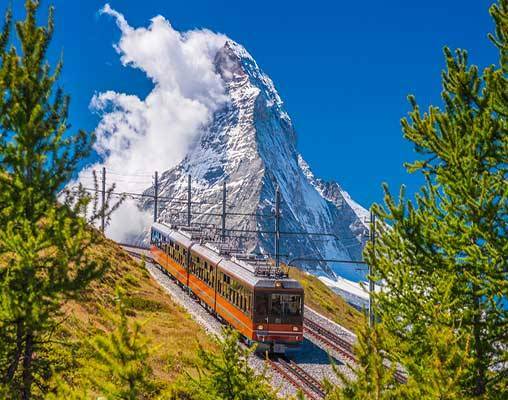 If spectacular scenery interests you, then you'll be thrilled with the ride on the world-famous Glacier Express train, where you'll travel first-class and have panoramic windows to admire the thundering waterfalls, impressive peaks, glacial ice fields, and tiny villages on your way to Zermatt, a picturesque cluster of rustic chalets beneath the majestic Matterhorn. This is a special treat included to make sure your tour is all you want it to be. 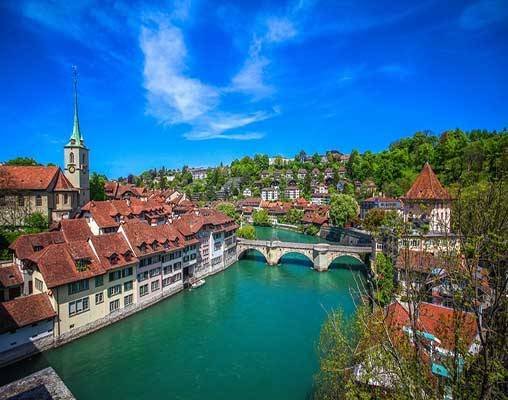 Other scenic highlights include a Danube cruise along the prettiest part of the river; a private boat cruise on the fjord-lake in Lucerne; a mountain train ride from Zermatt to Täsch; a scenic drive into the Swiss Engadine, considered by many to be the world's most beautiful mountain area; a stop in Interlaken, where you can take pictures of the Jungfrau Massif with its three famous peaks; and more. 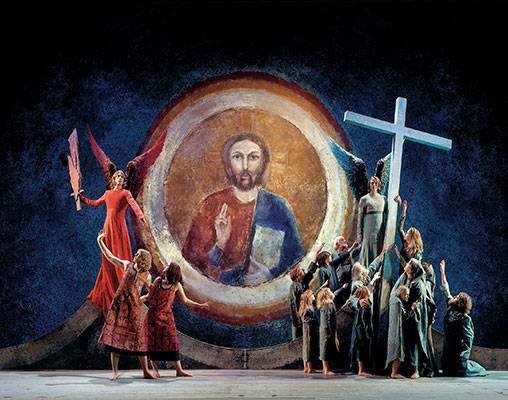 Plus, enjoy first-class seats to the world-famous Passion Play in Oberammergau, performed every 10 years by Oberammergau residents. It's a once-in-a-lifetime experience! These are just a few of the many highlights of this Austria and Switzerland tour. *Hitler’s Eagle’s Nest is normally open from mid-May to end-Sept. Check with your Tour Director for the availability of this excursion. 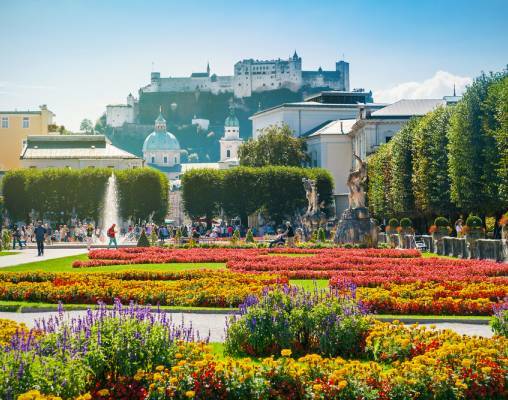 Located in center of Salzburg, walking distance to Mirabell Gardens and Mirabell Palace - 15 minutes to WA Mozart Airport. Chalet style hotel with modern comforts and amenities, restaurant, sauna, and solarium; located near the Gornergrat station. Enjoy a Great Location at the Westside Shopping and Leisure Centre when you Book the Holiday Inn Bern-Westside Hotel. This chocolate-themed hotel is only 200 meters away from the Toblerone factory and is linked to Daniel Libeskind's Westside Centre, putting a wide range of shops and restaurants at your doorstep. A classical 19th century 169 room property. This hotel offers a wonderful contrast of old charm with modern interior design and has a beautiful garden to enhance your stay. Wi-Fi access is available throughout the hotel with a fee (payable locally). The main dining room is opulently decorated serving traditional Swiss dishes, and there is also a lounge and terrace area with bar service. This centrally located 196 room hotel offers free Wi-Fi access throughout the property and has a unique rooftop wellness area offering views of the surrounding Alps, facilities include a counter-current swimming pool (45 m²), sauna, steam bath, solarium and fitness room. Dining options include 2 restaurants, as well as a wintergarden for light snacks and a bar for drinks. Enter your details below if you would like to be notified when 2021 dates and prices are available for The Best of Austria & Switzerland with Oberammergau.